Juggling all of the different responsibilities in our lives can be incredibly difficult. Even those who seem to have it all together can struggle from time to time. Whether it's cleaning, bills, healthy eating, creating or doing away with certain habits, there's just so much to keep track of! There are plenty of ways to track these things. You can write lists or use listing apps. Or, you can have fun with it! If you're a fan of video games, then you might enjoy this handy app that can help to keep you productive while you earn rewards for a video game-style character. Habitica is a website or app that you can use to keep the different aspects of your life in order. Starting off with a simple game character, you get to set up habits, dailies and To-Do lists that you can complete to earn experience points and gold. As you earn experience points, your character will level up and become stronger. At level 10, you can select a class. Currently, the classes included are healers, warriors, rogues and mages. Each of these classes will have different outfits, weapons and other attributes much the same as they would in a standard video game. You'll also then be able to start accruing mana. Much as you would expect in a Dungeons and Dragons style game, characters have perception, strength, intelligence and consitution, which depends on the class you choose. In time, you'll even be able to change up your class if you get tired of a certain one. There really is a world of different choices you can make as you "play". There are many different ways to make use of this convenient tool. The most obvious is to simply pull up the website on your PC. This is a great option when you work at a computer or from home a lot of the time. There are no downloads needed. Just register, set up your character and you're ready to go! For those who prefer mobile options, Habitica can also be found on the Google and iOS stores as well as through the Amazon store on your Kindle. If you want to, you can even keep it on multiple devices at once! 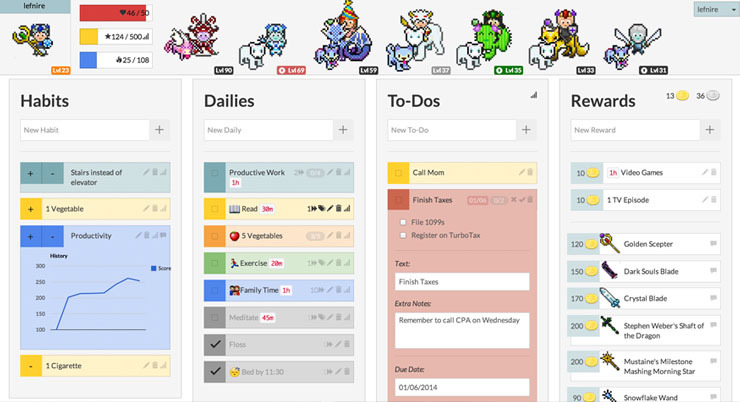 Habitica allows you to see all of your To-do items in one convenient place. That way, it's easily to track what you've done and what needs to be done. 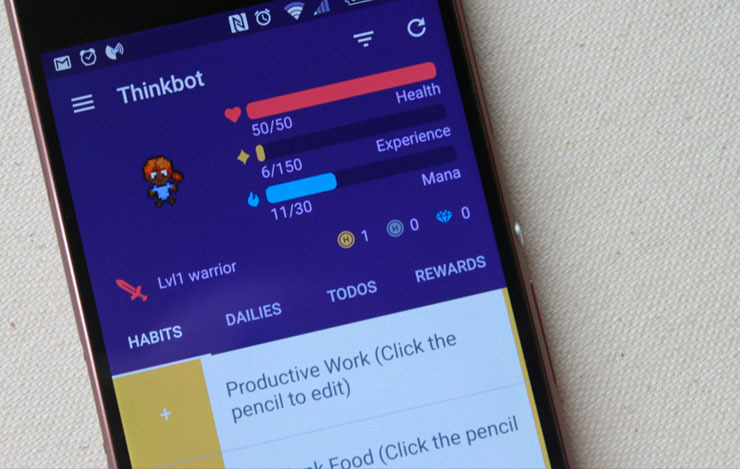 Habitica makes it very easy to track everything you need and add habits, to-do items and dailies for each day. In addition, gaining points and rewards is a great way to add a little bit more motivation to pay that bill or wash the dishes piling up in your sink. When you want even greater rewards, you can seek out challenges created by other users, which can earn you gems. We all have habits we want to build, and ones we'd like to do away with. 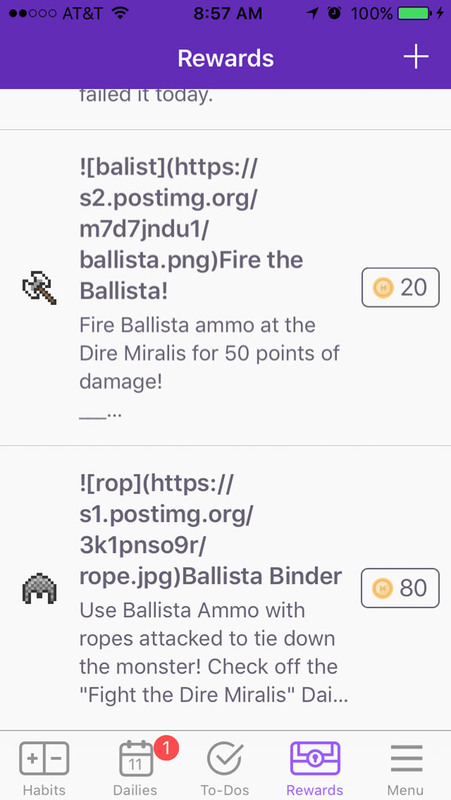 Habitica helps you to do either in a very simple, easy way. All you have to do is start by adding the habit into your "habits" list. At that point, you'll be able to edit it to suit your needs. If it's a habit you want to build, then you can choose to shut off the option to provide a penalty when you select the negative sign. Instead, the only option available will be the plus sign, which gives you points every time you select it. On the other hand, if you're looking to get rid of a habit then you can choose to use only the negative button to penalize yourself every time you engage in that habit. If you want both options available, then you can choose to have both on the same habit. Another option you have is to add daily tasks to your agenda. These are tasks that you want to complete regularly. Though they are called dailies, you can set these tasks to re-occur on a daily, weekly, monthly or yearly basis. That makes them just perfect for Sunday laundry, bills and birthdays! Like with other tasks, you can also set the difficulty level of your dailies. That way, you'll get more or less points depending on how hard the task is to complete. What's great about this is that it's unique to you. If you have difficulty making phone calls, go ahead and set it to hard! We're not going to judge. On the day that a specific daily is due, it will light up. Meanwhile, when it isn't the day to complete your daily, it'll remain gray. That way, you don't get confused as to which task needs to be completed on a given day. For those one-time tasks, you can create simple to-do lists that can keep you on track. For each item, you can either break down your tasks one by one or create a single list that needs to be completed before you get the rewards. Like the other options, these can also receive their own level of difficulty. You can also set a due date, so that you can plan for tasks ahead of time. You can also use convenient tags to note whether it's a school or work task, creative project or something you're doing for your health. 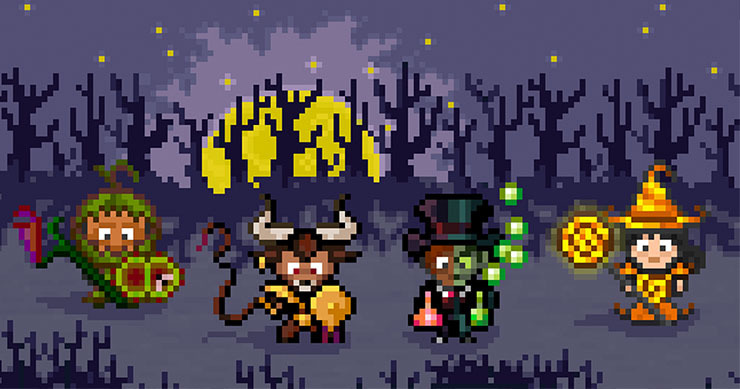 There are many rewards you can get on Habitica, which can help to keep you interested in completing your tasks to keep getting better ones! These can include clothing, weapons, pets, potions, food and a whole lot more. In addition to that, the rewards can vary depending on the money or experience you gain. Some special rewards can only be purchased using gems. These gems can be purchased, or you can earn some through the use of challenges. This is a great way to create a new habit, complete a task you might not have thought of otherwise and more! Challenges are tasks created by other members that you can get larger rewards for creating. Depending on how difficult the task is, you can get anywhere from one gem to 15 or more. Using these gems, you'll be able to get special items that can make your character really pop. If you decide to, you can also create a challenge for other users to try out. You'll be able to adjust the amount of gems they can get upon completing the task as well as provide information on what to do it and when. On top of that, you can add habits, dailies or to-do items in order to help those who try your challenge to stay on task. When you want a little more teamwork, you can also create parties and groups that can work together to defeat task-related enemies, provide team-based chores and extra benefits for the whole group. This is a great way to not only keep yourself motivated, but to motivate your friends as well. Keep in mind that if you do select this option, there is a subscription cost for keeping a regular group. Because of the low cost, this can be a perfect option for work-related groups and the like. Remember that with the added cost comes a greater number of rewards and benefits, so it's definitely worth it! Another option for adding some socialization to your task-keeping is to join a guild or just take part in the tavern chat. For those who just want to send a quick questions or message out into the world, the tavern chat is the way to go. It's a great option when you're unsure where else to post a question. For a closer group, you can join a guild where you can make friends and talk about the kinds of tasks you want to complete or other things you may be interested in. There is a huge variety of different guild options. Whether it's gaming, procrastination or introversion, you can find a guild for just about anything. 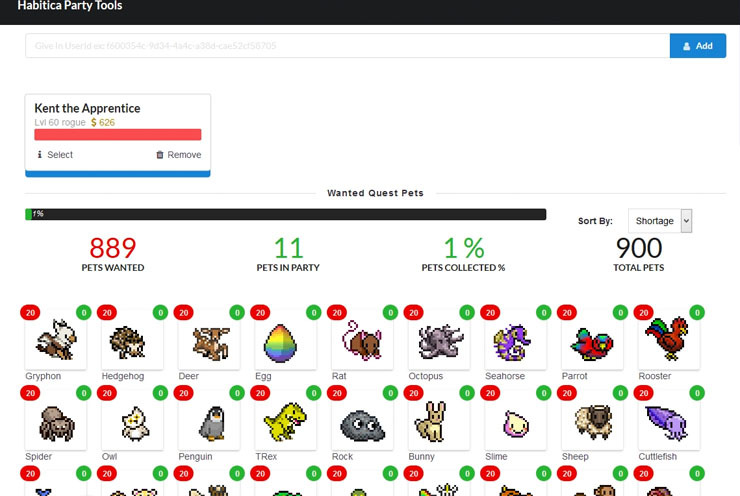 Pets in Habitica represent a very fun reward system where you can have wolves, cacti, foxes, pandas and more to brighten up your task-keeping. Eggs for these creatures come in drops, or are found in the store. You never know when you might stumble upon one! Once you have an egg, you can use hatching potions to hatch the egg immediately and see the kind of pet you've gotten. With enough food, you can also raise your pet into a mighty steed! You'll never know what color of pet you might receive until you open the egg. It's a truly exciting reward! There are so many ways out there to keep track of your tasks, chores, bills and more. However, not all of them are quite so fun. If you're into turning your chores into quests for earning experience points, Habitica is a great option, well worth trying out!